In June 2017, as part of research at UCL, we undertook a survey which showed 65% of local authorities were already engaged in providing housing and another 22% intended to join them. Last autumn, the number of local authority housing companies was growing each week and that trend is continuing. Those that have no retained stock after large scale voluntary transfer are also establishing companies. The main reason for councils’ renewed focus on housing provision is generally relating to trying to solve one specific problem – the most frequently one cited in our survey was the need to provide housing when others, including developers and registered social landlords, were not. The reality is that councils are increasingly being held to account by central government for the delivery of completed homes by providers over which they have no legal control. This is about to be reinforced and attract penalties if the draft revised National Planning Policy Framework is adopted as it is. Many councils are frustrated and angry that developers try to reduce the numbers of affordable homes provided with their planning applications through difficult-to-assess viability tests. 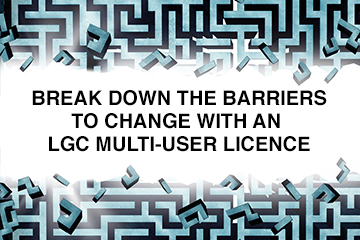 Canny local authorities are stitching in overage requirements into their s106 agreements to ensure that any gaps in these viability tests can be recouped later. And when faced with requests for renegotiation of contributions, slow built out rates, or no development at all – a practice that the Letwin Review has already highlighted – councils are turning to means including compulsory purchase orders to try to speed things along. But in the end – and who can blame them? – many have come to the conclusion that it is quicker and more reliable to build housing directly. At least they can then provide for the needs of their communities rather than focus on the type of development that can move quickly into buy to let, frequently bringing more problems. Some councils are using the joint venture route through specific agreements for compulsorary purchase order land purchases or changing the content of town centre regeneration schemes to include more housing. Councils are also using other funding means including the commercial market, inter-council loans, bonds and a hedge fund. In the main, however, councils are using their own funds and Public Works Loan Board to provide housing, along with other funding means including the commercial market, inter-council loans, bonds and a hedge fund. While the availability of land is a defined barrier to direct housing provision, some local authorities are buying directly from land owners where agents have obtained planning consents but not sold to developers. Elsewhere, the One Public Estate programme may not have been very successful in supporting joint developments between public bodies, but it has demonstrated to many councils the extent of their own land ownership, for the first time. Others are acquiring land for longer term development – perhaps in 15 years – and are defining their roles as long-term patient investors, similar to the role of the Crown Estate. Yet obstacles to councils continuing their role as housing disruptor remain. Among them is the accepted approach to accounting for councils’ assets. The government agreed the International Financial Reporting Standards should be implemented in the UK, but the Treasury has declined to implement this as intended for the valuation of council assets and their use for investment. The housing revenue account is a political not a financial construct. If local authorities could use their assets to leverage investment, based on the real rather than notional asset value – as in both the private sector and other countries – then councils could really get to grips with the housing delivery if they wished. Central government continually emphasises the key role local councils play in housing provision, not just through planning numbers but in direct delivery. So why does the government simultaneously spend so much on Help-to-Buy and other assistance to private housing developers when even part of this £32bn channelled into social and affordable housing would make such a difference? How many additional homes will councils’ current actions bring? As yet we don’t know – in some locations, council projects are already on course to deliver hundreds of homes and some would like to do a lot more. Local authorities really are emerging as housing disrupters across the country, despite the roadblocks that have been – and continue to be – put in the way. Fresh from publishing her review of building regulations and fire safety, Dame Judith Hackitt is due to appear before MPs on the Commons housing, communities, and local government committee.